News IRTA Cabo Convention a Huge Success! 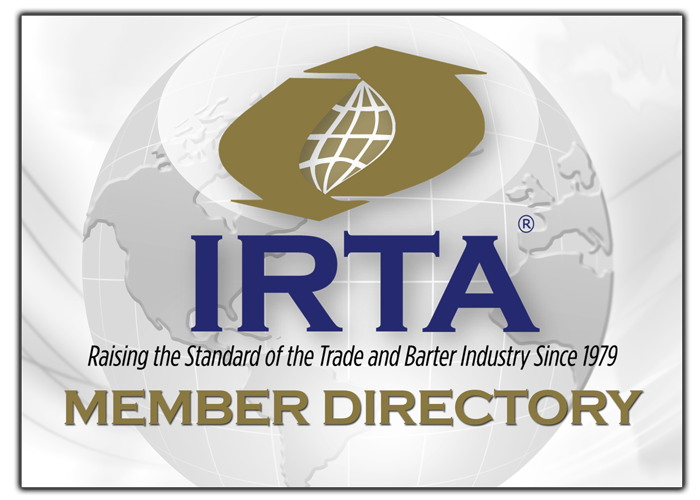 IRTA Signs Consulting Agreement with the International Islamic Trade Finance Corporation (ITFC) For the Development of a Multi-Tiered Barter System for OIC Countries. IRTA’s Cabo San Lucas Convention was a big success!Industry veterans, new exchange owners, complementary currency experts and banking officials gathered from across the globe to learn, network and collaborate for the betterment of the industry. The convention provided two days of educational seminars on the most relevant topics of importance to the industry. “It really was a wonderful convention with lots of positive energy and goodwill at an amazing venue,” said IRTA’s President Annette Riggs. Major award recipients included Bob Bagga, (BizX), the Hall of Fame Award, Sirri Simsek, (Turk Barter), the Paul St. Martin Award, Carl Steinbrenner, Esq. the David Wallach Outstanding Achievement Award, Fred Detwiler, (TradeFirst) and Jeff Burkhardt, (Corporate Barter Network), the Legends of Barter Award, Patty Weston, (IRTA & UC) and Maree St. Clair,(BPS Technology), the Outstanding Achievement Award),Kerri Khalasawi, (TradeFirst) and Bruce Kamm, (Virtual Barter), the IRTA Executive Director Appreciation Award. action plan for the creation and implementation of a multi-tiered barter system that will include retail, corporate barter and counter-trade components. The CEO of the ITFC, Dr. Waleed Al-Wohaib attended the IRTA Cabo Convention and signed the IRTA/ITFC consulting agreement with IRTA’s President, Annette Riggs on September 17th, 2015. The ITFC is the trade finance arm of the Islamic Development Bank, (IDB). The ITFC’s mission is to increase trade and economic activity for its member countries and develop new partnerships. The completion of the IRTA/ITFC consulting agreement is representative of IRTA’s determination to help facilitate meaningful barter related programs internationally to improve regional economies and reduce unemployment.